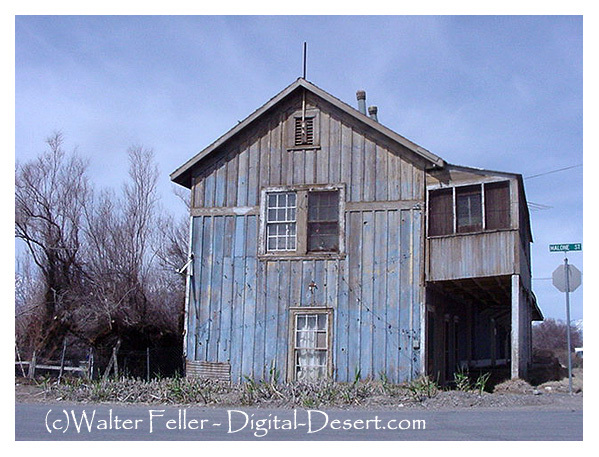 Keeler was named for a mine operator, responsible for laying out the town which was built to compete with Swansea as a smelting operation, shipping port and as the southern terminus of the Carson & Colorado narrow-gauge railroad for silver and lead from the Cerro Gordo mines. The railroad never did link Carson City with the Colorado River as its named promised: by the time it reached Keeler in 1883, most of the local mines had played out. 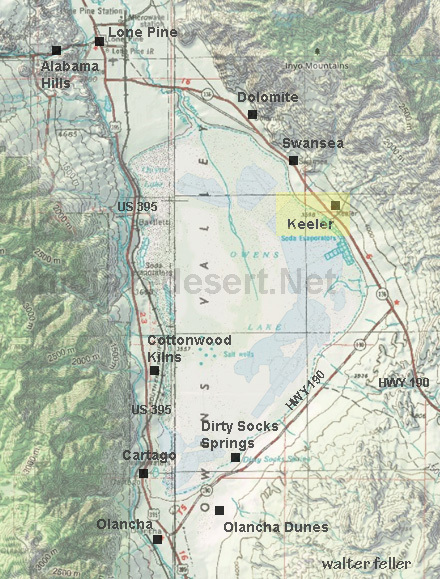 Plans to extend the rail line to Mojave were abandoned and Keeler became the end of the line.